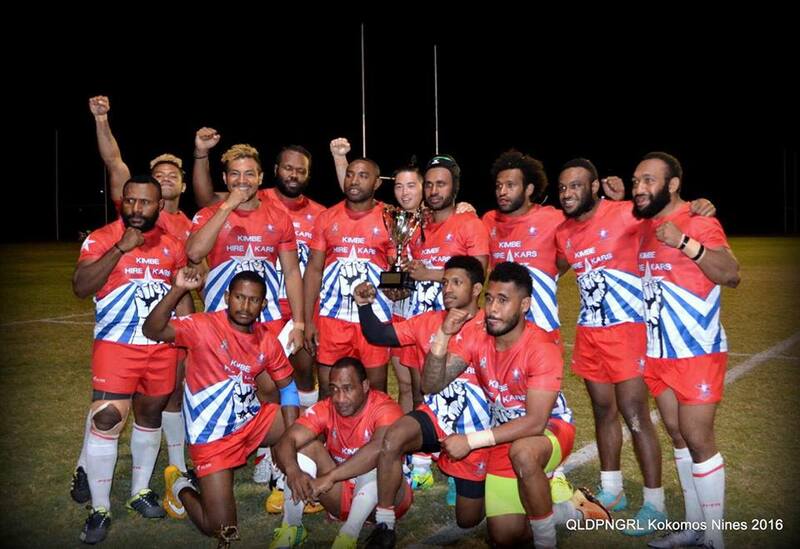 West Papua Warriors Captain, Tala Kami, in his Championship winning speech, explained that the team had been set up in an effort to draw attention to the plight of oppressed West Papuans. And that they did in spectacular fashion. The West Papua Warriors had to overcome the more fancied Masalai’s in the Semi-Final and CDMC in the Final, who won the championship in 2015, in order to take this year’s championship honours. The Warriors won the hotly contested final 36 - 22. Apart from the 2016 QLD PNG Nines title and trophy, Tala Kami and his fellow Warriors took home $5000 in prize money. Runners-Up CDMC took home $3000. The QLD PNG Nines is in its third year of competition, and only continues to grow, both in depth of talent and quality of play. The crowd were treated to some extraordinary passages of play throughout the day, the best of which was the final match. Martin Sevara (West Papua Warriors) was crowned Player of the Final and Willie Malala, Masalai’s tryscoring machine, was the Highest Try Scorer for the QLD PNG Nines Carnival for the second year running. Surprise packet of the day was the QLD PNG Women’s team who annihilated Flagstone 52-14 in their inaugural exhibition match. The girls put on an incredible display and were a credit to their coach Ricky Pon. The quick and elusive Amelia Kuk scoring four of the tries. The QLD PNG Nines Carnival, while an event in its own right, serves also as part of the QLD PNG Kokomos representative selection platform for the upcoming QLD Pacific Island Cultural Carnival (QPICC) to be held in QLD on 28th to 30th October, 2016. The Kokomos will take on teams including the Maoris, Samoans, Cook Islanders, Tongans and Fijians. Head Coach for the Kokomos, former Kumul, Elias Paiyo, will announced the 2016 QLD PNG Kokomos train-on squad on Thursday. Follow all the action on the facebook page - QLD PNG Rugby League Incorporated:- Tom Adamson or on our website at www.qldpngrugbyleague.com.